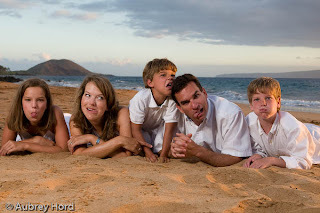 Aubrey Hord Photography: Maui Portraits - Family Fun with the Kartsens! 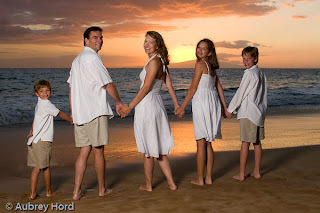 Last week I received a last minute request from a wonderful family from Texas wondering if we could do a photo session the next night at sunset. Their request was simple- "We love casual, creative, and a bit funky and unique." I think I can do that! This is a photographer's dream client! 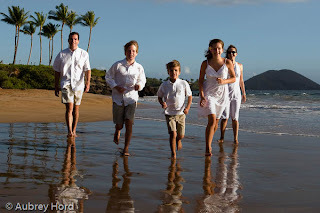 We chose Po'olenalena Beach down in Makena,which is simply stunning as a backdrop. 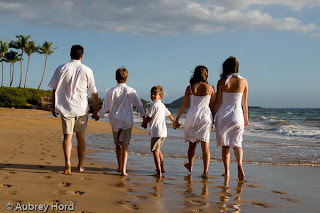 So after a few warm up poses walking up and down the beach as a family, we played at creating a variety of images that were a joy to shoot and fun for the family. It is also always my goal to try and capture natural personalities and poses throughout the session. One of ways I do this is by asking questions about my subjects during the session. 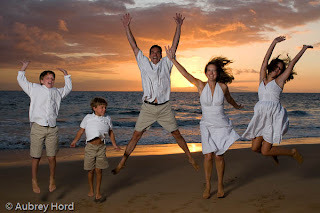 For example, the Karsten's daughter is a ballet dancer and so she pirouetted in the sunset as the gentle waves rolled in around her. It took a few takes to get this one just right with the waves and the spin but we had fun doing it. 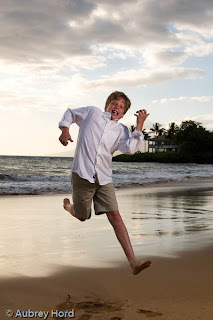 The oldest son plays guitar so we had him jump and do a cool air guitar move midair. Totally fun! 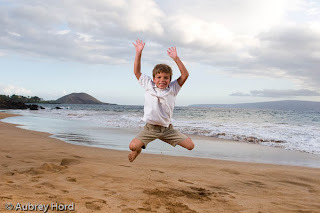 The youngest son didn't need any prompting as you can see from the shots we took of him, he just had a blast just being himself at 7! And of course we took the ever popular "face breaks" throughout the shoot to give the smiles a rest, have some fun and be able to make a great outtake video after the photo session! The Karstens had a ton of great ideas for poses they had always wanted to do in addition to traditional poses and some new ones we came up with on site. Creative spontaneity at its best! C heers to all my clients who love to get creative (i.e. sandy) and have lots of fun at their photo shoots! Thanks guys!! You're the best!! !